I'm obsessed with neutral eyeshadows which is lucky because they look best on my eyes - bright colors end up looking strange against my orangey brown/hazel eye color. Browns and taupes can get pretty repetitive so I always get excited when I see browns that look like something special. My friend was sharing her Nars collection with me and I fell in love when I saw Galapagos, a single shadow. 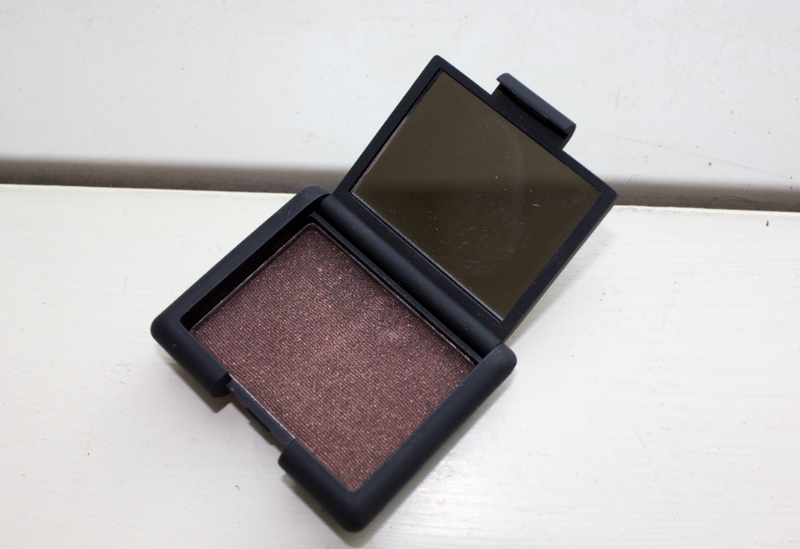 Nars duos are a better value so I rarely browse their singles selection but this one was just stunning. I posted about it on my wishlist post and my dad surprise treated me to both the Nars shadows on my list. I know. I was pretty speechless. I had to resist applying them right that second so I could take pictures of how much more beautiful they are in real life. Look at the subtle multicolor glitter in that. The color is described as "rich brown with gold flecks" on Sephora's website but you never think gold flecks actually means gold flecks. I'm mad cynical about make up descriptions and promo or online photos because they're normally a let down. This is one of the nice surprises where it actually lives up to its description. Mekong is described as "espresso infused with gold" but it's more of a purple toned brown infused with bronze. Mekong is particularly blendable. 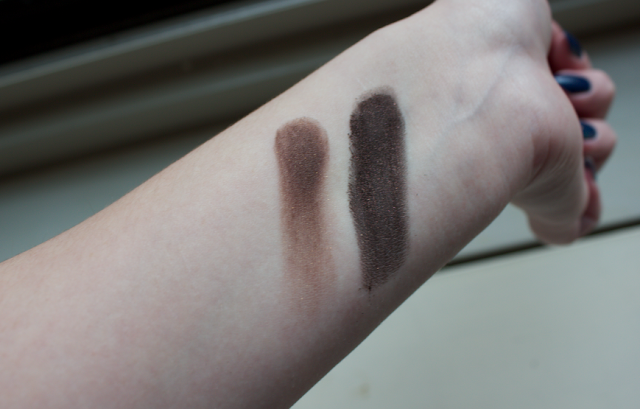 I was shocked at how much color I picked up when I swatched it. I love how the shimmer in Mekong is almost exactly the color of Galapagos. They really play off each other just as well as I had hoped they would. Nars shadows are usually hit or miss. 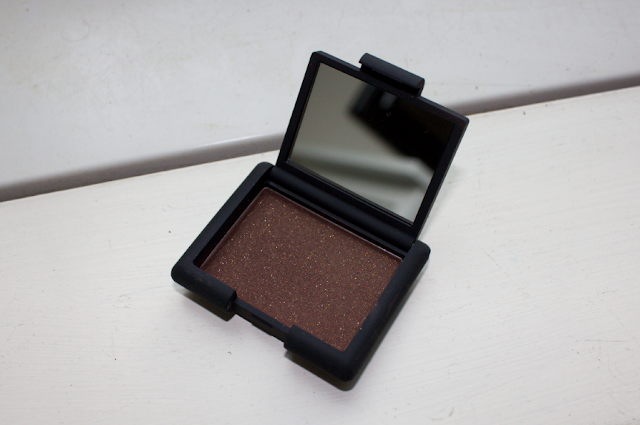 Some are buttery and pigmented and look as gorgeous in the pan as they do on the eye. They're easily in my top three favorite brands of eyeshadow when they're done right. On the other hand, some are disappointing, chalky messes with no color pay off. These two colors are pretty firmly in the former category and knock it out of the park with pigmentation and blendability. 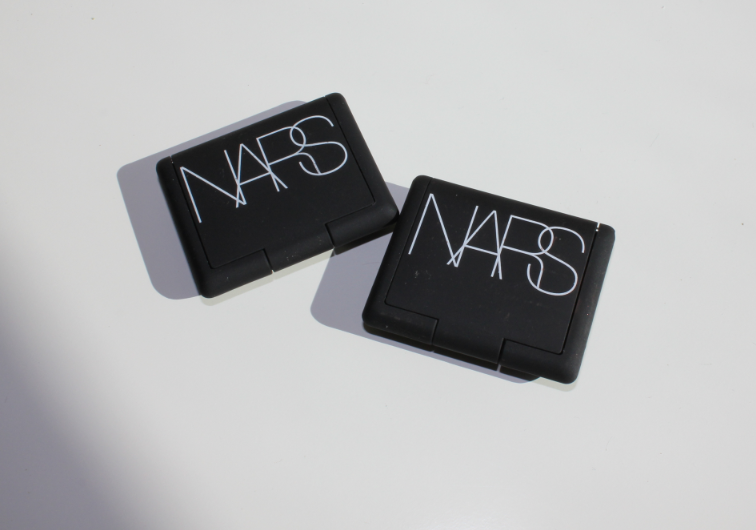 I'm almost offended that these aren't sold as a Nars duo. Look at them together! What a wasted opportunity. I should know, Nars, I took a semester of marketing as a graduation requirement in high school!